Following my disappointment (mostly at myself) with Chanel's Sophisticated Eye collection, I've become very picky about succumbing to Chanel. I realized that I've become far too susceptible to the interlocking Cs instead of paying attention to quality or uniqueness in terms of color and texture. 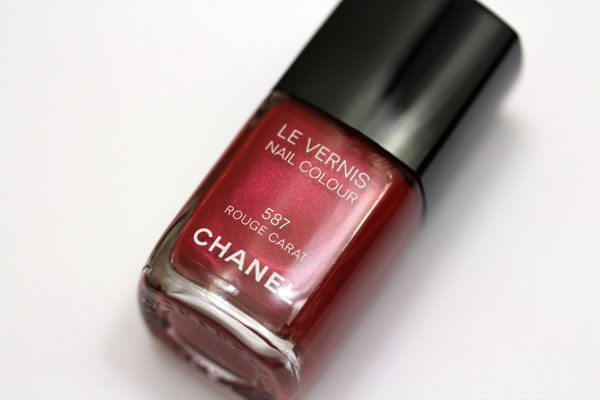 When Chanel Holiday finally rolled into stores I forced myself to look at the collection with a discerning eye, and picked up only three pieces, one of which is Rouge Carat. This last picture captures what fascinated me about Rouge Carat. 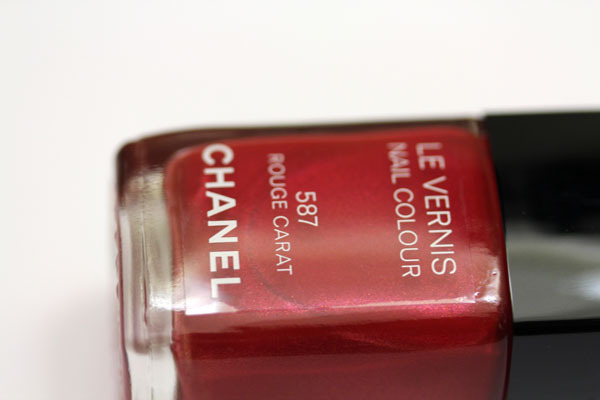 Without a doubt, one of Chanel's best products is their nail polishes, and that's because they're the master of the understated shimmer. It ever so slightly peeks out from the nail. Rouge Carat is a blue-based red with a tinge of pink to my eye. Dior Holiday also features a red polish called Merveille, which is decidedly orange-based. I chose not to purchase it because I already got uh, too many nail polishes this season, but you can see a comparison shot of it to Rouge Carat on The Beauty Look Book. Rouge Carat retails for $25 and is available at Chanel counters nationwide. I purchased mine from Neiman Marcus. The full Chanel Holiday 2011 Collection is also available on chanel.com. You have the prettiest ultra close-ups, Xiao. What's your method, if I may ask? I agree with you about the fascination of Rouge Carat. Needless to say, it's already on its way to me, along with a few other pieces of the holiday collection! Likewise, I am on the lookout for Dior's 5 couleur gold palette . . .
Beautiful! 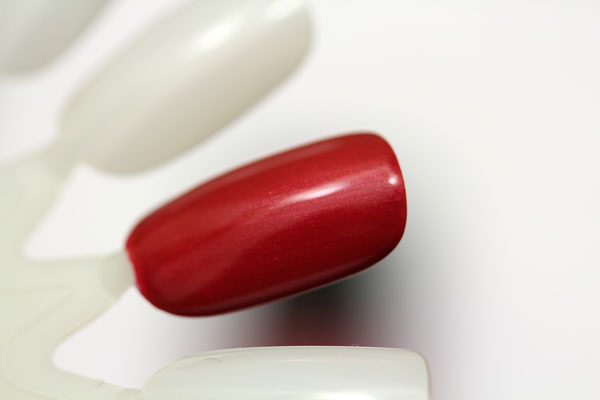 I really want this polish and Lumiere Sculptee. I wish the highlighter would hurry up and show up on Neiman Marcus online! I've had Sweet Beige and Empire from the collection for a week but it will not stop RAINING! Hey Sylvie, I got the highlighting palette and Beige Lame, you'll see my review tomorrow :) I didn't get any of the lip stuff because red with pinks don't really agree with me, and the pink RAL didn't look good on my lips. I think the glossimers are pretty but I have a lot of them and after a while they start looking a little similar - have to save some money for other holiday items, if you catch my drift!